Construction of an important launchpad at Russia's new cosmodrome in the Far East has fallen 120 days behind schedule, threatening to cross President Vladimir Putin's orders to carry out the facility's maiden space launch by the end of the year. "For the Soyuz-2 [rocket] launchpad, the delay is 120 days. For the launch control center, it's 60," Igor Komarov, the head of Russian space agency Roscosmos, was quoted by RIA Novosti as saying in a conference call with construction officials televised on Rossia-24 on Wednesday. Putin visited the construction site last September and pledged 50 billion rubles ($860 million) to expedite construction efforts, which he said at the time were up to two months behind schedule. 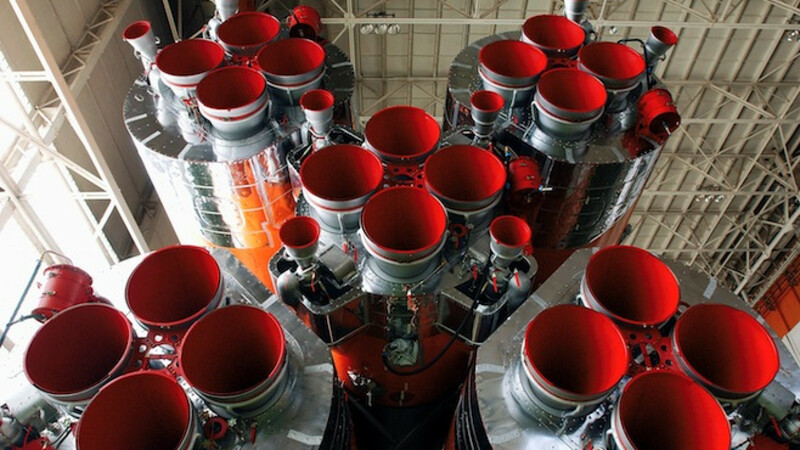 The money was intended to accelerate work on the launchpad for Russia's Soyuz-2 rockets in time for a first launch by the end of this year. Deputy Prime Minister Dmitry Rogozin, who is now directly overseeing the project, has repeatedly stated that postponing the December launch is not an option and that construction bosses will be held personally and financially responsible for missed deadlines. But Komarov said Wednesday that the project is understaffed and underfinanced. With delays racking up on other important launch infrastructure, such as the rocket assembly building and fueling station, more resources are needed, RIA quoted him as saying.